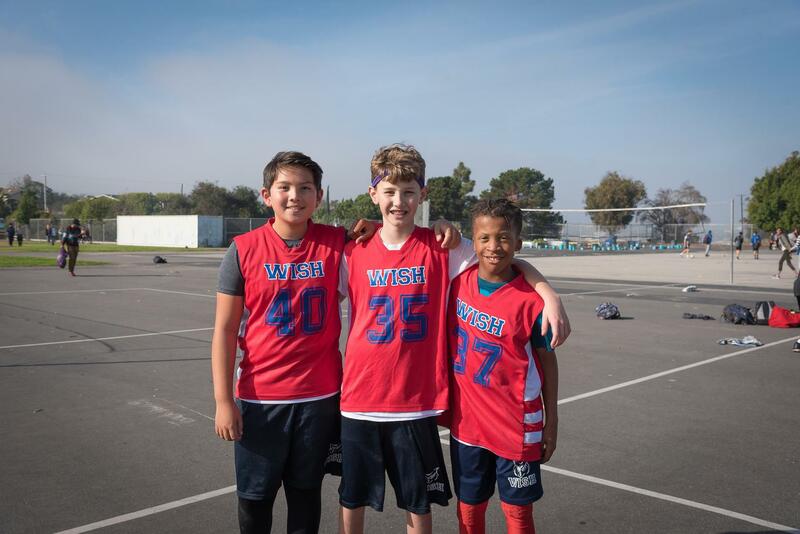 WISH Middle believes in offering scholars a variety of extracurricular activities in order to enrich each student's academic environment and social-emotional well being. We encourage all students to consider participating in a least one of these activities at some point throughout the school year. This organization is WISH Middle’s student body voice and government. Elections for president, vice-president, secretary, and treasurer are held every fall. All students interested in participating as a member are welcomed to join and participate in weekly meetings during lunch and monthly after school workshops to discuss campus events, spirit weeks, dances, socials, and campus culture. Our WISH Student Ambassadors assist with our Campus Tours and other public events throughout the year. Potential Ambassadors must participate in an orientation that will take place after school shortly after the start of the year. Ambassadors will also be required to maintain a minimal GPA of 2.5 and also not have received more than 2 “U” (unsatisfactory) Citizenship marks on any semester report card. WEB is a program that assists with the transition from elementary school to middle school by connecting incoming 6th graders with 8th graders. The WEB Leaders are 8th graders who are great role models for younger students and who have been successful at our middle school. WEB Leaders’ communication skills, leadership potential, responsibility, and personality have helped them succeed in the middle school environment, and the lessons they have learned are shared to help others succeed. Students who achieve academic excellence are honored each semester at an Awards Assembly and receive a star pin. We are extremely proud of many of scholars who work hard and strive to be on honor roll throughout their middle school experience. The Aspiring Owls Club is a group of students who want to aspire to reach the next level of their education. We do next level projects that they would not have the chance to do otherwise. Last year they did a genetic research project and this year we are programming robots. They also get to go on extra field trips such as going to Point Mugu, California Naval Air Warfare Center to look at classified projects, Otis College for a special tour and LMU Engineering Day! Anime club meets every Tuesday in which students learn about Japanese culture by watching Ghibli Studio films created by the famous Miyazaki Hayao. These films are held closely to the heart of the Japanese people similar to how Disney movies are for Americans. Each one of Miyazaki’s films are known to be hand drawn, which he believes deeply adds to the life of the animation that are produced. Movies shown during Anime club are presented true to this vision and thus are viewed using the original Japanese language voice acting with English subtitle translations. Preparing for Academic Transition to High School, or P.A.T.H.S., is a two-semester club where we look at the skills needed to be successful in high school. First semester we tackle the skills needed to be successful academically at the high school level, such as time management, study skills and goal setting. Second semester's focus is preparing students for what to expect when they transition to high school, such as A-G requirements, high school graduation requirements, high school credits, what different standardized tests to take, such as the PSAT, SAT, ACT, SAT II, AP Exams, and what type of educational options exist after high school, for example junior colleges, state colleges, universities, private colleges, vocational schools, and trade schools. This lunch club is for students looking to delve more deeply into the mysteries of math and fine tune their math skills. Students participate in hands on learning experiences and math challenge activities with one another. If you enjoy working with numbers and problem solving then this club is the one for you! Students discuss hot topics with one another in a circle format where everyone is heard and has a voice. This club is for all grade levels is a great place to feel safe and get connected with peers. WISH partners with the Westchester YMCA to implement this highly engaging program. MUN allows students to learn more about current affairs, politics, economics and diplomacy through weekly meetings with other partnering schools. This is also an opportunity for students to collaborate with one another across California at a conference that includes public speaking, debating international issues, and participating in committee meetings. Students interested in joining Youth and Government in high school are highly recommended to participate in this program in middle school to prepare. The Humans United Club at WISH Middle is a student created organization that meets weekly to discuss various real-world matters while being guided by one of the counselors here at WISH. The Humans United Club allows student voices to be heard and to come together for constructive conversations about societal relations, politics, inclusion, diversity, cultural similarities and differences, and ways to positively impact our school community and the community at large. Circle of Friends (CoF) is a social and language skills program of inclusion that provides valuable social support to students with disabilities. It is based on the establishment of friendships between students with and without disabilities as both interact meaningfully in the natural environment through lunch meet ups, phone calls, and after school hours activities (on and off campus). Students develop an appreciation for one another as human beings desiring connection and friendship and work to make our campuses models of social justice and inclusivity.